I can add a little to Mr Attwood's article in RECORD 41 (page 197) for which, incidentally, I would dispute the use of the Cornish word 'Bal'. This is an archaic word which has been out of current use (except in words such as bal-maidens) for at least two hundred years and to use it in connection with the twentieth century is just not right to my mind. Nor would 'wheal' (derived from 'huel') be correct for this purpose for it is only used as a proper noun (Wheal Jane, Wheal Rose, Wheal Fortune and so on) and for a common noun 'mine' or, less common, 'working' was and is used. Opinions differ as to the correct meaning of 'bal' and 'wheal', but I take 'bal' to mean the older open or surface workings as opposed to underground. However, this is a little academic and perhaps I am being too much of a purist! 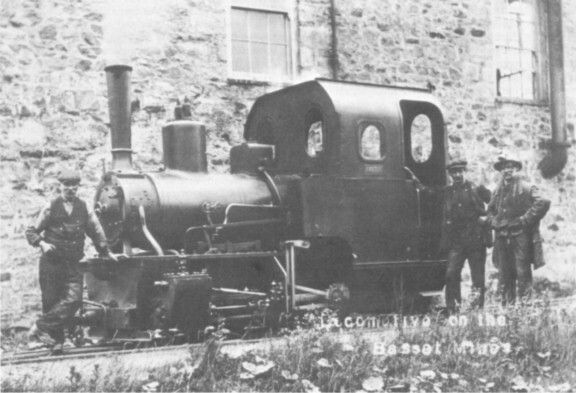 The 18in gauge Koppel locomotive at Basset Mines Ltd was named KIMBERLEY and worked two sections of the lengthy tramway from Marriott's Shaft – noted for its Davey Differential pumping engine – to West Basset and, later, East Basset stamps. Much can be traced of this system. It would be interesting to know if the internal combustion locomotive Mr Attwood saw at South Crofty was one of the Rustons they used in latter years or the old petrol Simplex they hired about that time. Crofty's line was probably put in soon after the re-organisation of the mine in 1906 and only finally succumbed to underground haulage in 1970. One lengthy system Mr Attwood did not mention is the 1ft 10in line of Dolcoath Mine Ltd. This employed two Kerr Stuart 0−4−2 tanks between the Stray Park section of the mine and the stamps. A branch was later (c1910) added to Williams Shaft, at 550 fathoms the deepest in Cornwall, on the side of Carn Entral across the GWR main line. The mine closed in 1920 and the locos were regauged to 2ft and sold to the C. M. Powder Co Ltd at Treamble. Both in Devon and Cornwall there were many mines with narrow gauge systems (on the surface at any rate) with lengths ranging from a few yards to approaching a mile. Some of these were quite complex and inclines abounded but, to my knowledge, little has been done towards recording their history. I should be pleased to hear from anyone (via the Editors) who is interested in this subject. Some comments are pertinent in respect of the letter from the late George Alliez published on page 230 of RECORD 42. The Mandai Quarry was owned by the Singapore Municipal Council and the Singapore Harbour Board. Land was acquired during 1920−21 and quarrying operations commenced in 1925. The railway system in the quarry was metre gauge. During 1925 it was connected to the FMSR (State Railways) main line. The Annual Reports of the Singapore Municipal Administration reveal that it was shortage of funds that caused the gap between the dates of purchase of the two locomotives; these were Hawthorn Leslie 3644 and 3685. Until the arrival of the second locomotive, and, subsequently, if one of the Hawthorn Leslie tanks was out of commission, a locomotive was hired from the Singapore Harbour Board. The Harbour Board also undertook the repair and maintenance of the Hawthorn Leslies. Until 31st December 1934 operation of the quarry was carried out under the auspices of the Municipal Authorities, but granite as required was supplied to the Harbour Board. However, as they required most of the output for new construction works, the Harbour Board exercised its rights under the ownership agreement, and took over operation from 1st January 1935. Thus the two Hawthorn Leslies passed into ownership of the Singapore Harbour Board from the same date. Topham, Jones & Railton were the contractors employed by the Harbour Board for the construction works. At no time did they own the quarry. It would appear that they may have worked the quarry on behalf of the Harbour Board during this period. However, I have yet to locate any documentary evidence of this. Diverting still further from the original title, the two Hawthorn Leslie tanks survived until about 1956. They were seldom used after 1949, and, in their last years, they were steamed only for an annual boiler test – a situation that evoked criticism recorded in the Minutes of the Singapore Harbour Board! Manning Wardle 1985 and 1986 were 3ft gauge and certainly did not go to Mandai Quarry. I could not, in fact, find any record in Municipal Reports that they were purchased by the Municipal Authorities. Thus I would opine that the note by Pugsley is correct, and that they were sold to the Straits Settlements Public Works Department. 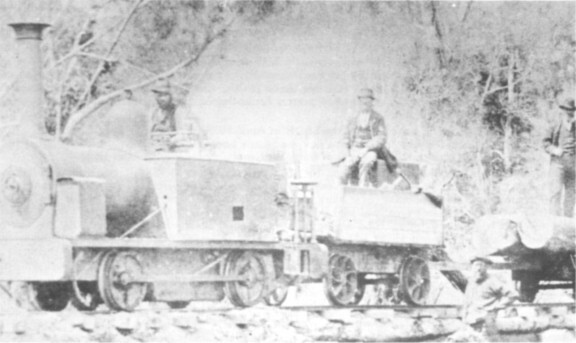 By the time of the Japanese Occupation, one at least of these two locomotives was working on the 3ft 0in line operated by the Public Works Department in connection with the construction of the Airport at Kallang, on the south side of Singapore Island. The second locomotive could well have been here as well, but has not been recorded. The Singapore Municipal Authority was at least partially involved with the Kallang project, in the early stages if not later. Thus they could have taken part in negotiations for the purchase of the two Manning Wardle tanks; however, no documentary evidence has yet come to my notice. It must be remembered that the Straits Settlements Public Works Department was. involved with other projects in other parts of Malaya. Thus the notes of "water from Johore" could indicate use elsewhere before transfer to the Kallang Airport project. I consider this very probable on the basis of geographical knowledge alone. The first Stockton & Darlington SHILDON was built in 1832 and it is this engine which may have become SHANNON. SHILDON did not have a return flue boiler but, nevertheless, it did have two tenders. The vertical cylinders were at the chimney end and coupled on at that end was the water tender: this was also the driving position. The fireman was at the other end of the engine with the coal tender. From the evidence given at the inquest it seems certain that the engine concerned in the boiler explosion had two tenders, because the driver and fireman were at opposite ends of the engine when the explosion occurred. This rules out SWIFT (suggested by Mr Fox) on which the driver and fireman were at the normal (firebox) end of the locomotive, which had one tender. In any case I am informed by Mr J.S. MacLean that SWIFT was actually returned to the Stockton & Darlington and was used on a shuttle service between Stockton and Middlesbrough. SHILDON and PLANET were sold by the S&DR in April 1839 to William Grieves, contractor for the Great North of England Railway, for £640 the pair, eventually passing into GNE ownership. In August 1841 both were resold, this time to William Lister of Darlington, probably for overhaul and resale. I'm afraid there are four other 'possibles' for SHANNON, all from the S&DR. No.12 MAJESTIC and No.14 WILLIAM THE IV, both of the same type as SHILDON, were sold to another contractor, William Hutchinson of Poppleton, near York, for £560 the pair in April 1839. In March 1841 No.13 CORONATION, of the same type, was sold by auction for £100. Also in March 1841 No.7 ROCKET was sold for £90: this was a return tube engine, built by Robert Stephenson & Co in 1829, and can be included because we do not know which end was referred to as the front and back of double-tender engines! A fine LNER poster issued in 1937 to commemorate the Coronation shows the Stockton & Darlington No.13 CORONATION hauling a passenger train (it was actually a 'coal' engine) with the firebox end leading and the driver at the rear end adjacent to the chimney and cylinders. The evidence at the inquest after the SHANNON explosion referred to the driver as being on 'the fore part of the engine' but that may simply be due to the fact that the chimney end of the engine was leading at that time. I am indebted to Mr E. Craven, who prepared the notes from which some of the above details have been extracted. When reading page 282 of RECORD 44 I spotted a mistake I made while writing the article. The Manning Wardle 0−8−0 tank was not the first 18in locomotive on the Bridgewater lines: it was the 18in loco immediately previous to JOSEPH and BRIDGEWATER. Can any reader supply me with some details of Bagnall 416 of 1882? It is said to have been 3ft 6in gauge, but as the wheelbase was only 3ft 0in this seems unlikely. Was it a saddle tank or side tank? Supplied to Laughland McKay & Co (agents) for the Komata Reefs Goldmining Co, Waihi, New Zealand, it is said to have been named MENTONI. A paragraph in an early 'New Zealand Railway Observer' mentions a 2ft 0in gauge Bagnall tank locomotive owned by the Piako County Council at Te Aroha, which is in the Waihi area. The Puponga Coal Co operated a 2ft 0in gauge line near Collingwood on the South Island with a little 0−4−0 tank of unknown origin. 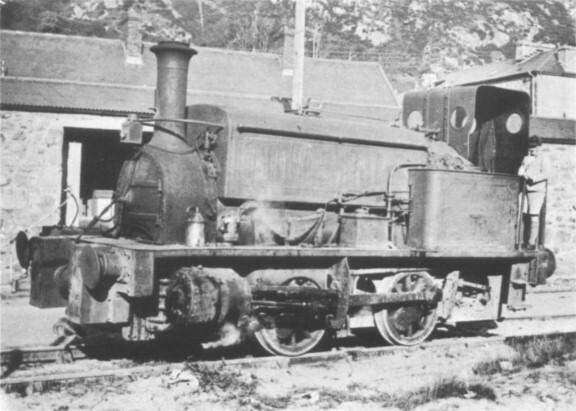 The photograph shows it to have a very short wheelbase – about 3ft – and wing tanks which extend from the front of the smokebox to less than half way back along the boiler barrel. There is a small coal bunker alongside the firebox ahead of the cab. As 2ft 0in gauge locos are very rare in New Zealand railway history it is tempting to assume that the above locomotives are one and the same. The 0−4−0 side tank is said to have worked on Stewart Island but this location is by no means definite. Stewart Island is a small island just off the southern tip of the South Island and there was a short tramway on it at one period but details are very scarce. The loco has been suggested to be a Robey but I have no knowledge of this firm's products in the locomotive field. Two are said to have come to New Zealand; No.5529 of 1879 owned by John Murdoch of Duck Creek, and No.5571 of 1879 owned by McCallum & Co of Invercargill. Whether these were proper locos or traction engines or steam lorries converted to run on rails I do not know. Perhaps readers can help. 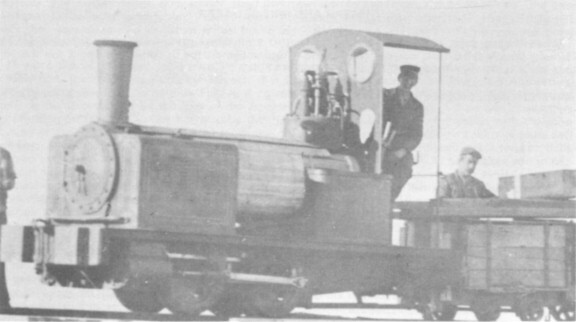 Among the locomotives that were owned by the Singapore Harbour Board prior to the Japanese Occupation were three Manning Wardle 0−4−0 saddle tank locos, originally built to standard gauge, and supplied to J. Aird. Two of these have been identified from marking on the rods as Manning Wardles 1495 and 1588. Society records suggest that the third could be one (or parts of both) of Manning Wardles 1496 and 1500. In all three cases the only plates carried in later years were 'SHB, 1921' – the year was 1922 in the case of the still unidentified locomotive. It would seem to me that the dates quoted were either dates of conversion from standard gauge to metre gauge, and/or date of acquisition by the Singapore Harbour Board. It has become increasingly clear of late that the SHB post-war No.3 – an 0−6−0 saddle tank – was not built by Peckett as suggested in my letter on page 89 of RECORD 37. The remaining SHB records show only that it was acquired from Topham, Jones & Railton, Naval Base. In the light of this I am inclined to suspect that the loco was in fact an Avonside, transferred via Topham, Jones & Railton from the Sir John Jackson contract at the Naval Base. Again, I welcome any help readers may be able to give me concerning this or any other matters related to locomotives known to have worked in Singapore or Malaya. (Manning Wardle records indicate that several of their locomotives went to Singapore; the building dates and Manning classes are quoted below in parenthesis. A single order for spares from an unrecorded owner received on 3rd June 1921 covered locomotives 1119 (K−1889), 1331 (L−1897), 1461 (H−1899), 1579 (L−1902) and 1585 (L−1902). The 'Engine Book' shows that these were at one time owned by Topham, Jones & Railton Ltd, with 1119, 1461 and 1585 specifically noted as being at Johore; as all five are mentioned in the one order it may be assumed that they were all on the same contract; their names were respectively GOWY, WYMONDLEY, KEDAH*, PAHANG* and PERAK* (* = not original name). 1119 and 1331 had returned to England by November 1927 when they were employed on the Bromborough Dock Works, Cheshire, by Perry & Co Ltd; similarly, 1579 was working at Ollerton, Notts, by December 1929, for Shanks & McEwan Ltd, contractors. Mannings 1729 to 1731 (1908) and 1754 (1909), with central buffing and drawgear to suit the rolling stock of the Railway & Tanjong Pagar Dock Company, were delivered new to John Aird & Co, Singapore, their Nos.228, 233, 234 and 326; 1730 and 1731 were later with TJ&R, Psai Wharves, named MALACCA and MUDA respectively. Other TJ&R locomotives were 1413 (H−1898) on the 'Johore Causeway' and 1496 at Singapore. This photograph has just come to light in a family album. The original, with me on the footplate, was taken at Barmouth about 1932 by my father, the late A. H. Lucas. As far as I can remember the locomotive was engaged on some repair work on the sea wall. I cannot make out what it says on the worksplate, and unfortunately all my father's records were thrown out whilst I was abroad. Perhaps someone will be able to fill in the details.